Name: Prof.Dr. Meawad Mohamed Meawad Elkholy. Position: Professor of Experimental Solid State Physics and President of Menoufia University. Bachelor of Science in Physics from Faculty of Science, Menoufia University, and Excellent with honors, May 1981. Master of Science in Solid State Physics, Faculty of Science, University of Menoufia, and February 1987.The Thesis entitled "Luminescence Studies on Some Red Light Emitting Phosphors". Doctor of Philosophy (Ph.D.) in Radiation Physics, Faculty of Science, Menoufia University, April 1992.The thesis entitled "Study of the Radiation Effect on Rare Earths Doped Glasses". Teaching Assistant, Department of Physics, Faculty of Science,Menoufia University 25/1/1982. Assistant Lecturer, Department of Physics, Faculty of Science, Menoufia University 9/6/1987. Lecturer, Department of Physics, Faculty of Science, Menoufia University, 25/4/1992. Assistant Professor, Department of Physics, Faculty of Science, Menoufia University, 19/7/1997. Professor, Department of Physics, Faculty of Science, Menoufia University 27/4/2003 to date. Chairman of Department of Physics, Faculty of Science, Menoufia University 1/8/2008 to 3/5/2010. Vice Dean of Education and Students at Faculty of Science, Menoufia University, 4/5/2010 to 31/7/2013. Dean of Faculty of Science, Menoufia University 1/8/2013 to 14/11/2013. 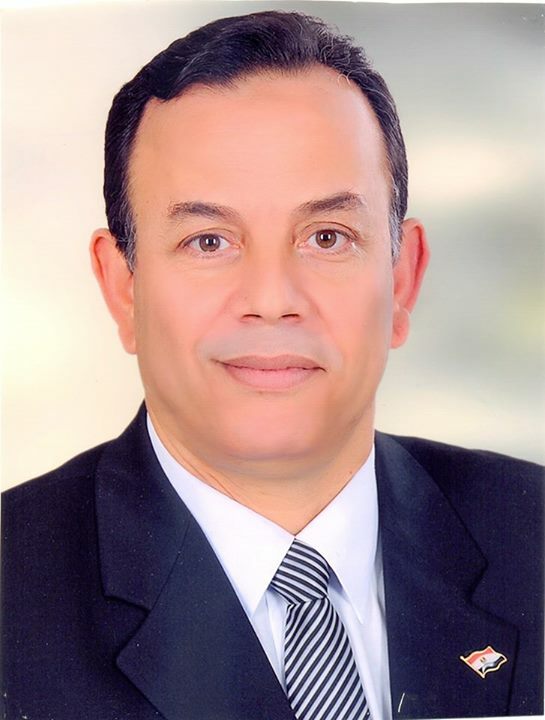 Vice President for Education and Student Affairs, Menoufia University, 14/11/2013 to 20/9/2014. President of Menoufia University from 20/9/2014 till now.